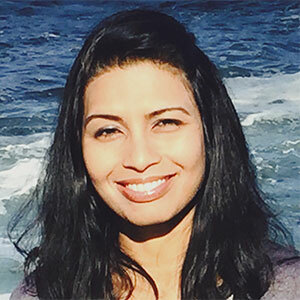 Amrita Pati joined Roche Sequencing Solutions as a Principal Scientist in 2015 and is a technical and scientific lead responsible for managing informatics analysis software for Oncology applications. Her goal is to enable the development of high-performing Oncology NGS assays that deliver best-in-class diagnostic quality. Prior to joining Roche, she has had extensive experience in the development of algorithms and omics-analysis products, HPC and application software, and big data management solutions, having served as the technical lead for the Omics Analysis Group at the DOE Joint Genome Institute. Amrita has developed a wide range of scientific informatics solutions with applications in oncology, secondary metabolite biosysthesis, viral genomics, and metagenomics. She received her Ph.D. in Computer Science with a specialization in Computational Biology and Bioinformatics from Virginia Tech, and has co-authored more than 300 scientific publications. The presence and level of ctDNA can play a role in molecular diagnosis and monitoring tumor burden. However, there are many challenges associated with tumor genotyping using ctDNA. Assay and algorithmic approaches can be leveraged to overcome these challenges. Strategies utilized in the AVENIO ctDNA Analysis Kits are discussed, together with product performance specifications.